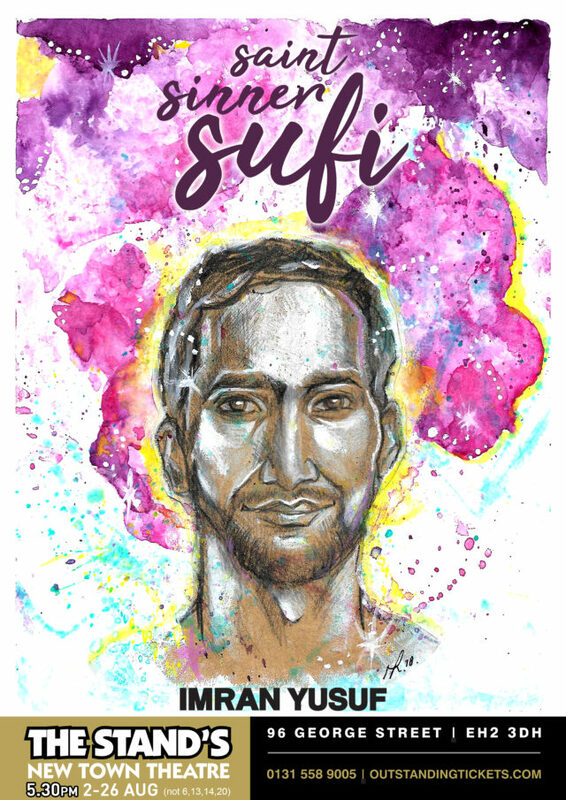 My new solo show “Saint, Sinner, Sufi” debuts at the Edinburgh Fringe. My coming of middle-age show that marks the naivety of my self-ascribed ‘saintliness’, the bitter truth of my inevitable ‘sins’ and the revelation of life’s humbling ‘middle path’. A show for victims, villains and those who know better because you become who you judge. It’s only funny because it’s true. After a successful Edinburgh Fringe run, I’ll be announcing a tour very soon, sign up to my mailing list to be the first to find out! 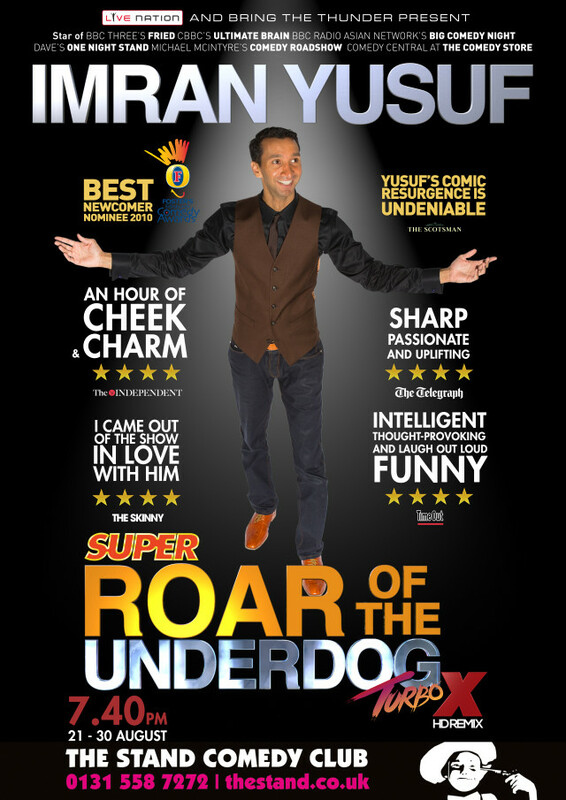 “SUPER ROAR OF THE UNDERDOG TURBO X: HD REMIX” is Imran’s fourth solo show which debuted at the Edinburgh Festival in 2015. This is a best of 2014’s “ROAR OF THE UNDERDOG” with added brand new material to make this special edition show, titled in the vein of Capcom’s Street Fighter II series as a nod to Imran’s favourite beat em’ up game. 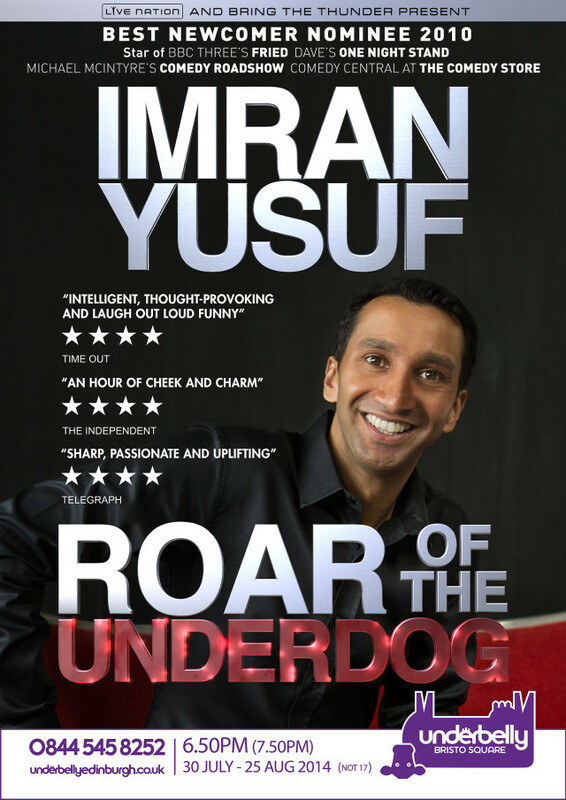 “ROAR OF THE UNDERDOG” is Imran’s third solo show which debuted at the Edinburgh Festival in 2014. A more relaxed show, Imran explores his dynamic identity and his feelings about charity within a capitalist economy and his experiences in meeting a US Marine who served in Afghanistan. It was from this show that Imran also made it into the ‘The Best 30 Jokes from the Fringe” in The Telegraph. 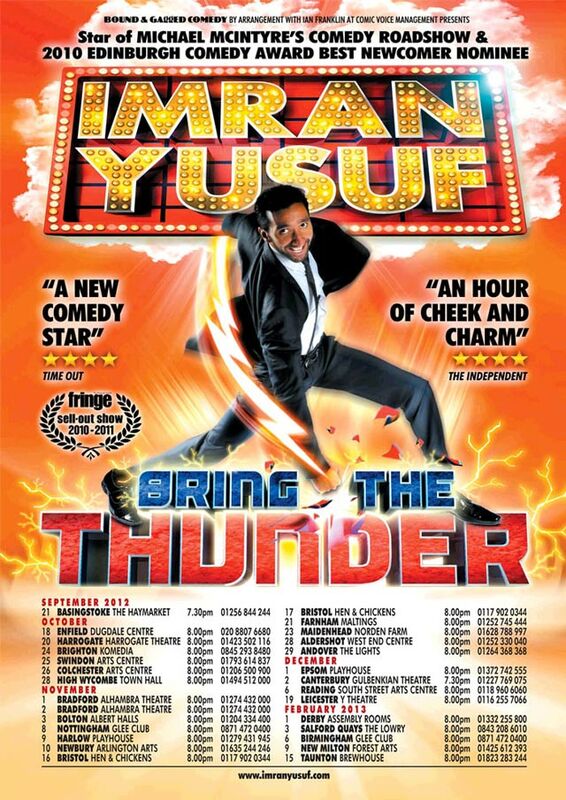 “BRING THE THUNDER” was Imran’s second solo show which debuted at the Edinburgh Festival in 2011. Imran discovered the comic potential in his Cockney/Kokni Muslim background, shared the perils of foolishly wearing his heart on his sleeve and his experiences travelling through the holy lands of Israel/Palestine and Saudi Arabia. 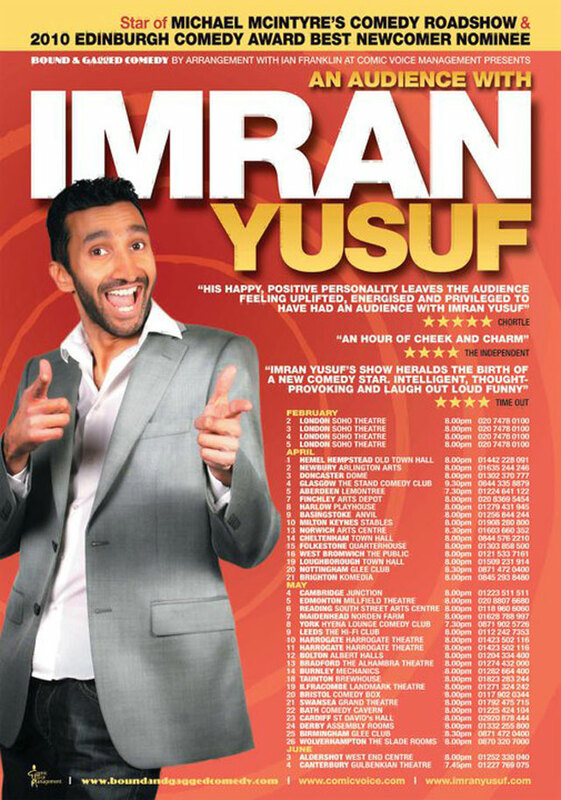 “AN AUDIENCE WITH IMRAN YUSUF” was Imran’s first solo show which debuted at the Edinburgh Festival in 2010. Originally planned to just be an hour on the Laughing Horse Free Festival to practice the art of doing an hour’s worth of comedy, this fantastically backfired when Imran was announced to appear on Michael McIntyre’s Comedy Roadshow only a week before the Edinburgh Festival, which elicited the attention of the UK comedy industry. Fortunately, Imran’s ‘work in progress’ show was solid and earned him a Best Newcomer Nomination. Imran was the first person from the free scene to ever be nominated for the award.